Illinois’ 7th Congressional District has historically been a solidly been a blue district for a long time. The district has not had Republican representative in 50 years. Thus, U.S. 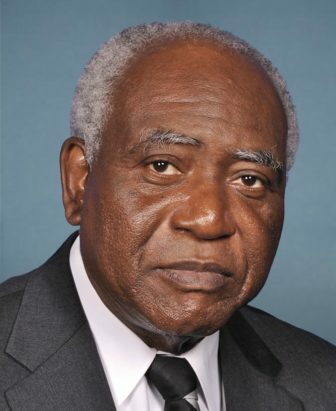 Congressman Danny Davis, Democrat, of District 7 has occupied his seat in the House of Representatives for over 20 years. Davis was re-elected to his seat on earlier this month – defeating his opponent Republican Craig Cameron by more than 80 percent of the votes. Davis’ top disbursements for the 2017-2018 cycle were to the Democratic Congressional Campaign Committee, J. Pope Consulting, LLC, the U.S. Postmaster, campaigner Jonathan Roberts and campaigner/personal friend Rickey Hendon. In total, he earned $282,733.71 and spent $334,602.34. His top disbursements for the 2015-2016 cycle were very similar. He paid money to the Democratic Congressional Campaign Committee, J. Pope Consulting, LLC, Verizon Wireless, senior adviser Ms. Tumia Romero and campaigner/personal friend Rickey Hendon. In total, he earned $534,812.32 and spent $491,312.98. Brandon Quinn is the Outreach Manager for Open Secrets, a nonpartisan, nonprofit organization that seeks to provide information about politicians’ campaign finance to voters. The group analyzes information from the Federal Elections Commission (FEC), the Federal Communications Commission (FCC) and the Secretary of the Senate. There is little information for Davis’ previous opponent, Jeffrey Lee, the Republican nominee for District 7, or for any Davis’ opponents dating back until 2004. According to OpenSecrets, Davis had an estimated net worth of $257,506 in 2015, which was the last calculated net worth for the congressman. This was far below the average net worth of a House representative of $888,000. Davis also spent $7,200 on Mario’s Butcher Shop and later $2,400 on Marrio’s Butcher Shop, demonstrating the inaccuracies in the documented spending of 2018. Davis did not respond to several calls seeking comment for this story. Several disbursements from his 2018 FEC report were also listed without descriptions. Davis spent $1,100 on Sugar Collaborations, $300 for Mary Baldwin and $300 for Women of Steele, and did not list what for. Pope Consulting, LLC. is “a boutique minority-owned political and organization fundraising consulting firm that provides its clients with the expert advice needed to exceed their fundraising goals,” according to their website. The 2016 campaign year is full of event more disbursements without descriptions. Davis’ third largest disbursement was $18,043.45 to Verizon Wireless including $14,728.25 for “wireless service,” and another $3,315.71 for unlisted use. Davis paid Jackie Greer $1,140 in 2016, $500 for “catering” and $640 for unlisted use. He also paid Wallas Davis $1,100 similarly with $800 for “catering” and $300 for unlisted use. Davis also paid Larry Nelson $950 in 2016, $300 for “contribution,” $500 for “distributing ballots and signs” and $150 for unlisted use. He also paid Gayia Eswaldo $400 for an unknown reason and $200 for the Village of Maywood for an unknown reason in 2016. Politicians are allowed to spend their receipts on charitable donations, the transfer of campaign assets, gifts (outside of the candidate’s family) and the candidate’s salary, which must be paid by the principal campaign committee. Expenditures like meal expenses, travel expenses, vehicle expenses, legal expenses or mixed use (reimbursing within 30 days of the spending) are determined on a case-by-case basis. Leaving a disbursement without a description on a FEC report makes it very difficult to determine whether the spending was personal or for the campaign. Even worse, several of the spending descriptions are vague.There is no way of knowing a candidate’s spending at a restaurant was for personal use or a fundraiser or charity. The same goes transportation, credit card spending, phone bills and payments to people. Some congressmen use this system to spend campaign money for personal use. Last month, Rep. Duncan Hunter, who used campaign money for vacations, school tuition, dental work and theatre tickets. This had a mixed reaction for voters from Illinois’ 7th congressional district. He added finding this out would not dissuade him from supporting the candidate. He said that how a politician spends money is less important to him as opposed to other social or political issues. Grace Johnson, another voter from the 7th district, felt the opposite.